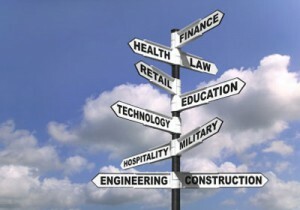 Finding a career that is in demand is an important part of choosing which college degree or career category to pursue. If you’re undecided about what you want to do, it’s always good to look at the top careers that are in high demand. Here is our top ten list of careers in demand. People get sick all the time and while science is trying, we will never eliminate illnesses completely. That being said, any profession in the healthcare or medical field is a great choice because it will always be in demand and increase in demand as illnesses such as Cancer become more severe. Also, there are many careers in the field that don’t require many years of schooling and expertise as opposed to the time and money it takes to become as high up as a neurosurgeon. For example, you can become a registered Nurse with a college degree. A Certified Nursing Assistant can be accomplished with just one summer of classes, and some graduate nursing programs can be completed entirely online. There is also a financial and organizational side to running a hospital that requires no medical training at all, meaning that there are multitudes of positions available that cater to many different skills and education levels. In addition, people who work at hospitals and in the medical field get great benefits. While it is more difficult to vertically ascend in this particular job market, there is a wide horizon of consistent job openings that you can stay at for multiple years, and on an above average pay. More and more people are seeking higher education, meaning that more kids are staying in school and pursuing college after graduation. Because of this and a growing population, teachers will always be in demand. In addition, all of the new online teaching degree programs have made it even easier to become a certified educator. And while the pay of a teacher isn’t always the best, there are other perks, such as having great benefits and the entire summer off. Post-Secondary Education is also growing and thus needs Professors, but becoming one requires a lot more work and many more years of schooling than a teacher who works in k-12 schools. Specialized positions that work in schools with children are also great jobs; many schools now hire speech therapists, career/ college counselors and psychologists to be at school for students. . The field of technology is growing and evolving at a ridiculous rate. Our society is now very dependent on technology and therefore jobs in the field are incredibly valuable. Since technology is an ever-changing field, new jobs are becoming available and because of the frequency with which we use technology the number of available jobs will continue to grow. Businesses and companies need people to manage their money, and if mathematical skills come easily one can apply them to many different high paying jobs. As companies grow and control more money, jobs in the field will increase. Estimators are valuable members of any team because the numbers that they predict help companies get jobs and do jobs for the least amount of money. All financial careers are in high demand because as you know, every dollar counts. Engineering jobs are growing fast in multiple industries. In fact, the demand for Biomedical Engineers alone is expected to grow by 72% in the next eight to ten years. If one wants to pursue a career in Engineering, there are many different fields of expertise to go into, including but not limited to Biomedical Engineering, Environmental Engineering, and Mechanical or Electrical Engineering. While different types of Engineers can do wildly different jobs, a degree in any kind of Engineering will secure you a steady, well-paying job. We have a consumer market economy, and to keep that going we need advertisements and salespeople. Every business, company, or organization advertises, not to mention that often advertisements extend to millions of individual products. This leaves open many jobs that pay well and are secure as long as you are not in an industry that will go under. Sales and advertising jobs that work on the Internet are a safe bet, as those are adapting with society and reaching a larger number of people. As companies grow and hire more employees, they need more people to manage those employees and their jobs. A job in HR means that you are responsible for making sure company employees are comfortable and happy. It is a great job for people who are good communicators and like interacting with others. As a career, it is also a field with a lot of possible upward mobility, so there is always room to grow. Best Jobs In The Field: HR Manager, Employment Recruiter, and Customer Service Representative. The military is always looking for new recruits, and it is probably safe to say that they will never have too many people signing up. Although there is subsequent danger involved in joining the armed forces, there are also many benefits. For one, there are programs that will help you pay for college if you serve for four years or more. While you are serving, you are also taken care of in every way possible. You have a place to live, food, great medical care, and peers in close quarters. There are also many different fields that you can pursue once you are in the military; it is not all fighting and handling weapons. While you might be surprised to see this industry on the list, it is growing very quickly. As more and more retail stores are expanding their inventory, jobs to design that inventory are becoming available. Athletic and active wear are two fields of fashion that have high demand for talented new designers. The available jobs also encompass more than just clothing; textiles, furniture, jewelry, and accessories need to be designed as well. Because this is a creative industry, it is always changing and looking for new ideas, making it a vibrant and exciting industry in which to work. The United States is constantly building, rebuilding, and renovating. Especially in the Midwest, a lot of large new facilities are being built. These edifices need experienced crews to build them quickly and safely. While construction may be a hard job, it is very much in demand and actually pays quite well. If physical labor isn’t your style, there are also jobs in planning and management that require more schooling but also pay more. wondering where Nursing falls on the list? thanks for the post, will pass it on to all those looking for a good field to enter. I agree that healthcare is very high demand field to go into at this time. Plus, as the population continues to age the need for healthcare services will continue to be strong for years to come. One healthcare position that I can think of where a person can vertically ascend is a CNA. Many times you will see people who have trained to become a Certified Nursing Assistant decide to get more training and become a LPN or RN, after working for awhile as a CNA. I bet this list of top careers doesn’t change too much over the years. My vote – do what is best for you & don’t worry about growing trends. technology is also in very demand. but we should pay attention about depletion of resources by doing sustainable development. I’m going to echo the comment from the previous Dan. I support nurses. The research is clear that the higher the ratio of nurses to patients, the better healthcare patients receive. At the same time, CNAs provide great additional care at a low additional cost. I agree with the comment above. Medical positions must grow with the aging of America. And CNA’s will be in increasing demand as we search for quality care at lower cost. I still think that fashion is one of the most desirable categories if you need to make a career option fast. At least for women. anne sun recently posted..What gifts to buy for your dad this Christmas? Make no mistake that the ACA will both increase the need for qualified healthcare professionals, and will also expand/change the responsibilities of professionals within the industry. I know there’s been quite a lot of noise and chatter recently surrounding LPNS and their ability to prescribe under the care of a physician. But You can also mention Fashion/Teaching/Telecom Jobs also in this list. These three are also in the demand now a days.